Receive $20 off on Spare Tire Kits for (most models) at Germain FIAT. Present this offer at the parts counter and receive 10% off the cost of Authentic FIAT Accessories. At Germain FAIT we carry authentic FIAT accessories so you can make your car your very own. Germain FIAT removes and inspects the cabin air filter and, if necessary, replaces it with a new, clean filter. Receive 10% Off a Cabin Air Filter Replacement Today! Get your FIAT prepared for the weather with All-Weather Floor Mats receive a 10% Off Discount when you visit Germain FIAT. Make sure the weather doesn’t impair your driving visibility. 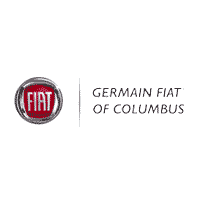 Replace your wiper blades with a $5 Off discount at Germain FIAT in Columbus, OH.